Ahhh, dads. What would we do without them? They can be a girl’s best friend and the only man she needs in her life, and with Father’s Day coming up on June 16, here are the best things you can make or give to show your dad you care—no matter what type of dad he is. • BUY: A gift card to a “manly” store, like Bass Pro Shop or Cabellas. He’ll be like a kid in a candy store, free to take his pick of fly fishing lures and hunting accessories—whatever floats his rugged, campfire-loving boat. • MAKE: He loves to fish—so why not put those colorful lures to good use? 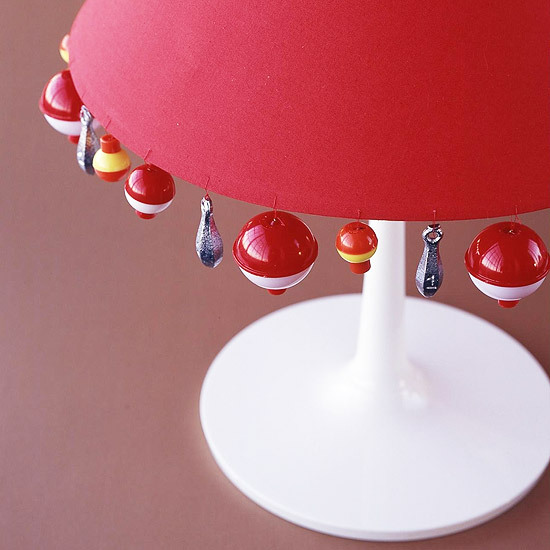 This project idea from Better Homes and Gardens suggests sewing fishing bobbers to the edge of a colorful lamp, which you can purchase at any craft or home goods store. The result is a quirky but manly bedside table accessory. • BUY: A smoke box. This small accessory can go inside every grill to make his meat have the smoky, rustic taste that is usually only achieved at great barbecue restaurants. Williams Sonoma and other kitchen stores offer them for around $20 to $40. • MAKE: This gift idea comes from the one and only Martha Stewart. These glasses hold vinegar, oil and other cooking essentials and look crafty and not too feminine. Pictures and directions here. • BUY: “F-bomb” paperweight. I love this gift because it’s cheeky and quirky. A professional dad can’t swear at his boss or clients, no matter how frustrating a long day of business can be. 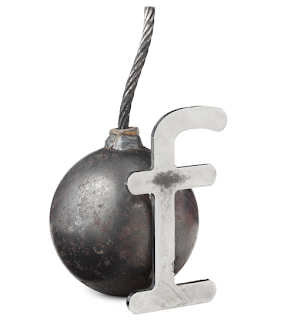 Instead, let him drop the literal f-bomb with this funny paperweight from Uncommon Goods. While you’re at it, check out the rest of their site—their gift ideas are phenomenal. • MAKE: Ties are a pretty standard father’s day gift for a professional dad. Put a whacky twist on this tradition and use his old ties or cheap thrift store ones to make a tie pillowcase. Pictures and directions can be found here. • BUY: Whiskey stones serve the same function as ice and cool down his drink, but without watering down dad’s hard liquor or wine. You can find them here. • MAKE: Personalize a beer bucket! Any metal or plastic bucket from a craft store can be personalized with paint or stick-on letters and will be perfect for holding ice and beverages when he relaxes outside. If you’re extra crafty, make or decorate your own beer coozies to go with the bucket. 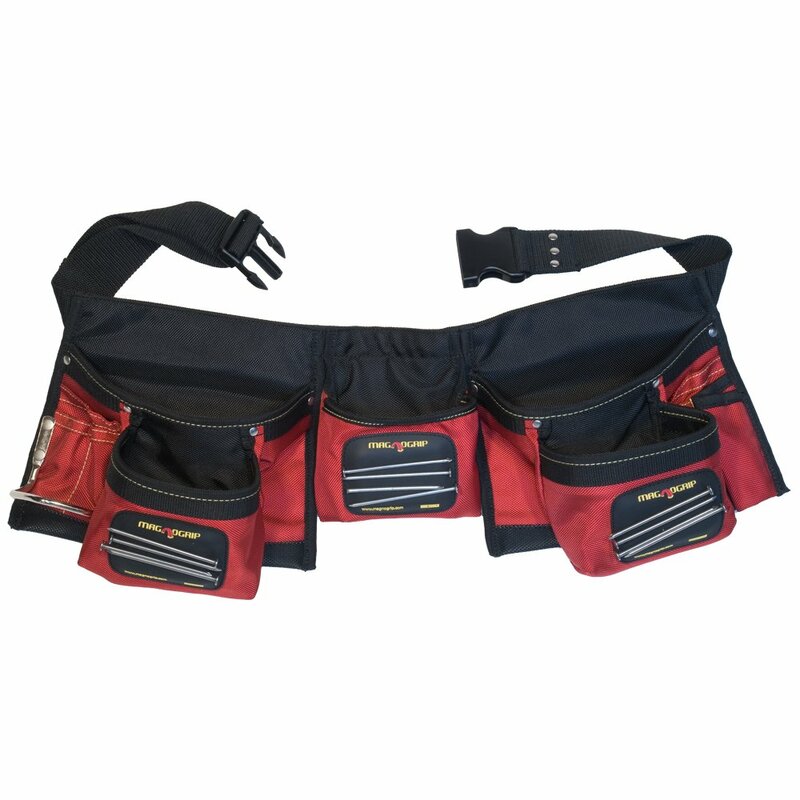 • BUY: This handy tool belt will stop dad from having to bend over and grab piece after piece as he works on his projects. The belt snaps on magnetically—and will probably make dad feel like a bit of a badass. • MAKE: Its hard to keep the tiny nuts, bolts and screws in his toolbox organized, so surprise dad with these mini toolboxes made out of Altoid mint tins. They’re cute and practical, and easy to make. Just read your article. Good one. I liked it. Keep going. you are a best writer your site is very useful and informative thanks for sharing! Go for the best quality product possible and research before purchasing one. Wasting money is not something anyone likes, better spend sometimes on research and get the right fishing accessories.Fishing is a very popular means of entertainment for many people around the world and therefore, you need something like a best spinning reel to satisfy your needs. There are various types of fishing and each has its own style. Ice fishing, fly fishing, saltwater fishing, and freshwater fishing, regardless the type of fishing you are into, it is always important to have the proper gears. If you do not have the proper equipment you will hardly enjoy the real fun. And as you are here reading this article, let’s assume that you are at least interested in fishing.